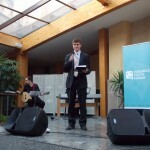 The Visegrad Youth forum is a unique project with a long-standing tradition. 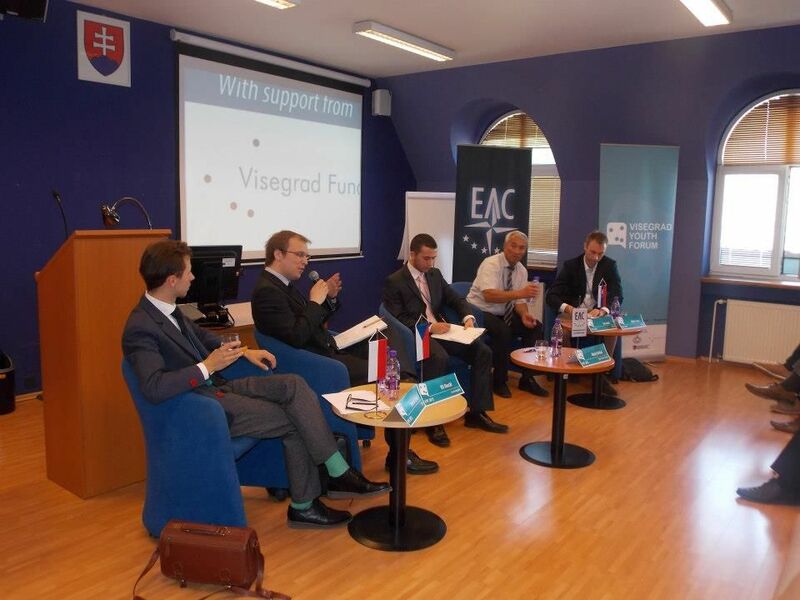 The aim of this event is to create a platform for mutual networking, innovative education and increase in the interest level of young adults regarding current events and the future of the Visegrad Group. The project consists of a number of phases, the culmination of which is a 3-day conference in Banska Bystrica, in the heart of Slovakia, which is the only V4 country to share its border with the Czech Republic, Poland and Hungary. The main goal of the conference is the active expert discussion about current issues facing the Visegrad Group, as well as critical alliances for the region. The annual goal of the Euro-Atlantic Center is to increase the quality of the event – this is due to the fact that one of the components of the VYF is a simulation of a meeting between the leaders of all V4 countries as well as a the creation of a document from the participants, which will serve as a recommendation for the leading politicians in the V4 region. The conference is attended by political experts, state representatives, as well as representatives of the academic, 3rd sector and private spheres, who answer the students’ questions during panel discussion while also participating in workshops and simulations. By way of this project, the Euro-Atlantic Center attempts to create a specific platform for supporting an open and informal discussion between young generations. This creates space for the exchange of ideas, information and experience, which will strongly support the idea of Visegrad cooperation both within and outside of this community. 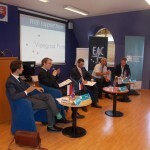 Visegrad Youth Forum is organized with support from International Visegrad Fund. The second panel discussion began with an opening commentary by Róbert Ondrejcsák, the State Secretary of the Ministry of Defense of the Slovak Republic, who focused on the outcomes of the Warsaw summit. The panelists of the discussion were Radovan Javorčík, Director of the State Secretary Office of the Ministry of Foreign and European Affairs of the Slovak Republic, István Gyarmati, Ambassador, Professor and President of the Center for Democracy Public Foundation, Jakub Wisniewski, Vice President of GLOBSEC and Director of the GLOBSEC Policy Institute and Michal Šimečka, research fellow at the Institute of International Relations Prague. The panel was chaired by Euro-Atlantic Center member Róbert Vancel. Radovan Javorčík stated that we live in times of uncertainty, as the security environment has been constantly changing and maintaining stability in the region is currently morechallenging than ever. Michal Šimečka described the outcomes of the Warsaw summit aren’t anything ground-breaking, yet the current situation has been strongly influenced by the outcome of the US presidential election and Brexit. Jakub Wisniewski further elaborated on the influence of the US presidential election, being skeptical about the prospect of President-elect Donald Trump helping Europe in case of need. Speaking last, István Gyarmati criticized the outcomes of the Warsaw summit, as the decisions that were made during the summit should have been made when NATO was inviting new states to become members. He also warned that in light of Russian efforts to create a rift between member countries, NATO is facing its biggest crisis since 1949. For more information and photos visit our website. 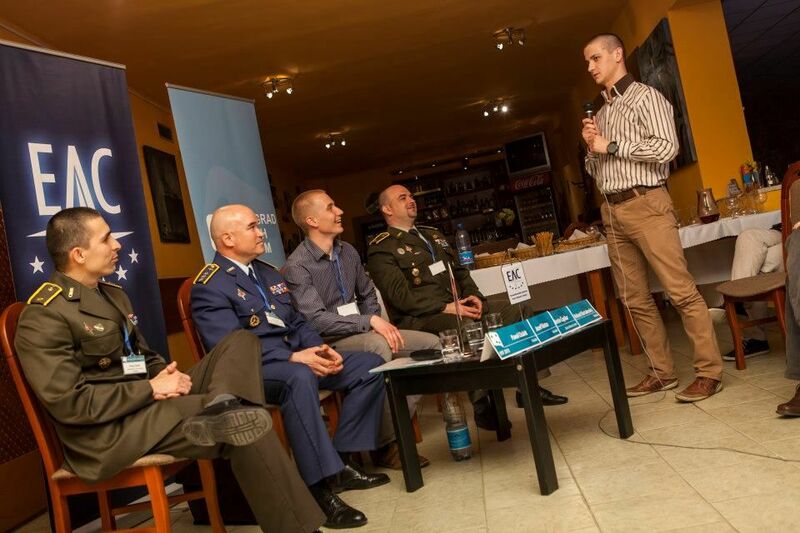 4th year of Visegrad Youth Forum took place from 2nd to 4th December 2015 in the heart of Europe – in the city of Banská Bystrica, Slovakia, under the auspices of Mr. Miroslav Lajčák, the Minister of Foreign and European Affairs of the Slovak Republic. Uniqueness of this year´s forum was in engagement of participants from Ukraine – potential future member of the EU. Young leaders from these 5 countries had the opportunity to present their view on cooperation among V4 and Ukraine and also to familiarize with the current problems and challenges of the EU member states in the central Europe. 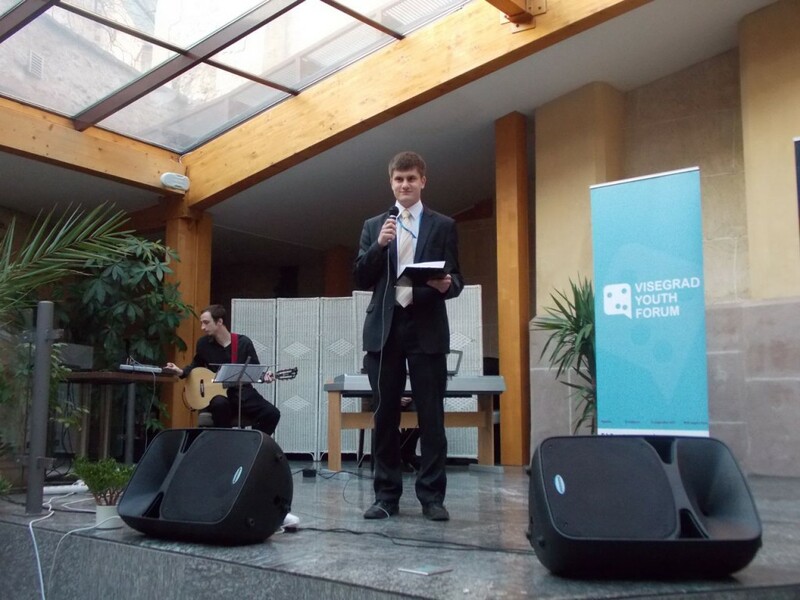 Visegrad Youth Forum 2015 consisted of three phases. First phase started approximately one month before the conference when participants from V4 countries and Ukraine actively prepared themselves via online e – learning. This form of interaction helped them to prepare for the conference by studying related materials and familiarising with the topics of the event. Participants also discussed current issues and topics regarding V4 cooperation. In addition, via online group they had a chance to communicate and get to know each other even before the conference started. The actual forum was the second phase of the VYF 2015 project. Three-day-long conference consisted of the opening reception, three panel discussions, several workshops and a simulation of Foreign Affairs Council. Moreover, formal program was enriched with informal activities, such as cultural evening or guided tour in the museum. First day of the conference started with the opening reception at the beautiful premises of the City Hall of Banská Bystrica. Participants had an unique opportunity to talk informally about the issues with the experts who attended the reception. Program also included the performance of the slovak folk dance group. 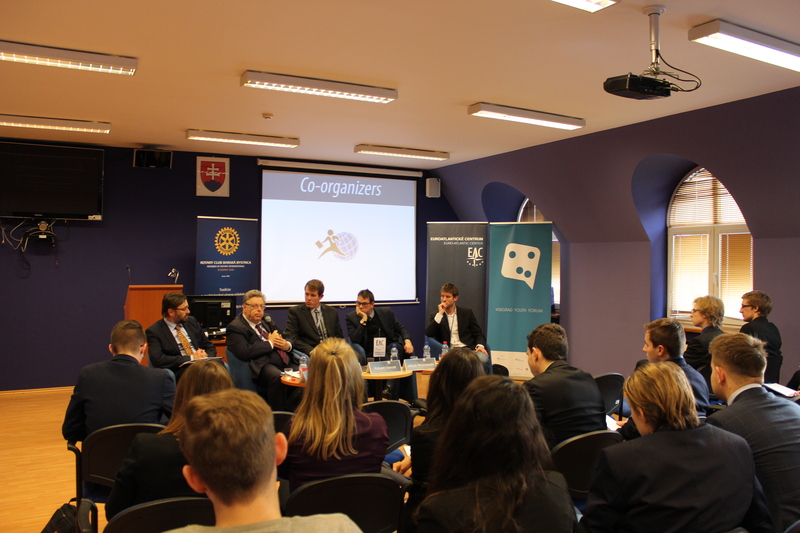 The second day of VYF 2015 started with the panel discussion about the initiative of the EU – Eastern Partnership. More active engagement of the V4 countries and closer cooperation with Ukraine in this project were discussed. Participants had the opportunity to discuss this topic with State Secretary of the Ministry of Foreign and European Affairs of the Slovak Republic and also with research fellow from The Institute for Foreign Affairs and Trade in Hungary. Two workshops which took place during the second day of the forum were aimed at developing of the interaction and mutual understanding among participants who were divided into 4 workshop groups. The chair of each workshop set the topic and participants had to actively engage in discussion and negotiate about possible solution. 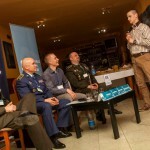 The topics of the workshops were related to the panel discussions. 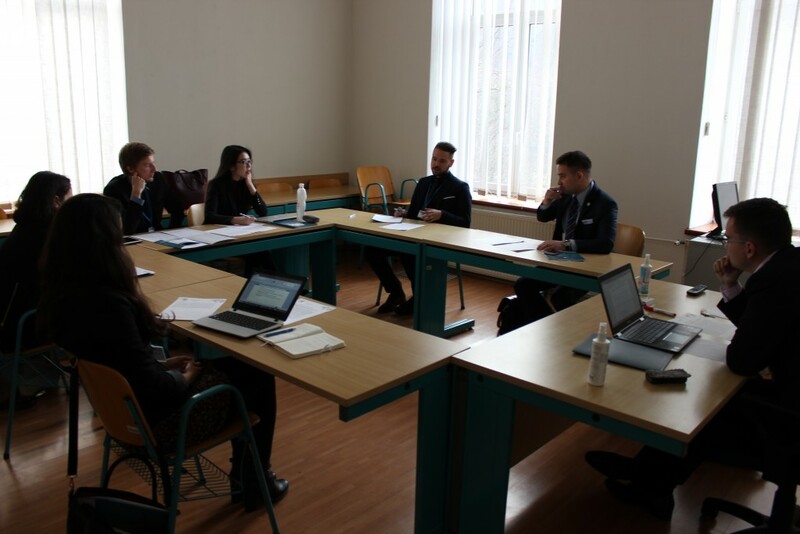 First workshop dealt with the topic of Eastern Partnership and the second round of the workshops was focused on Migration crisis in Central Europe. Participants had to come up with ideas how to tackle these problem and challenges. Second panel discussion was concerned with the topic of common defense of V4 countries and possible participation of Ukraine in this project. The idea of this discussion was that this concept could be basis for developing of defense strategy of the EU member countries. After the formal program participants went to the guided tour in the Museum of Slovak National Uprising in Banská Bystrica where they could get acquainted with the brief part of the history of the Slovak Republic. In the evening they also participated in cultural evening which aimed to present slovak food, culture and traditions. 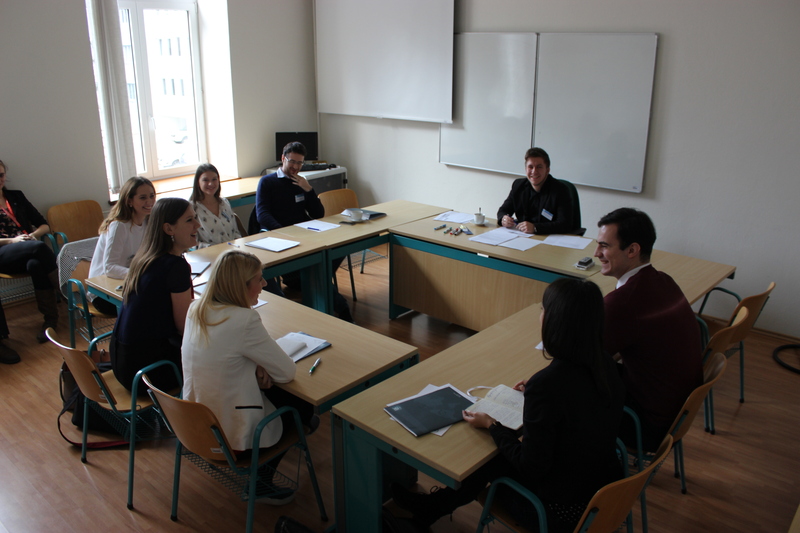 The third day of the conference began with the simulation of Foreign Affairs Council which took place in the Center of Excellence – Crisis Management Center at the Faculty of Political Science and International Relations, Matej Bel University in Banská Bystrica. The facilities provided the participants ideal conditions for simulating of negotiations of the EU leaders. 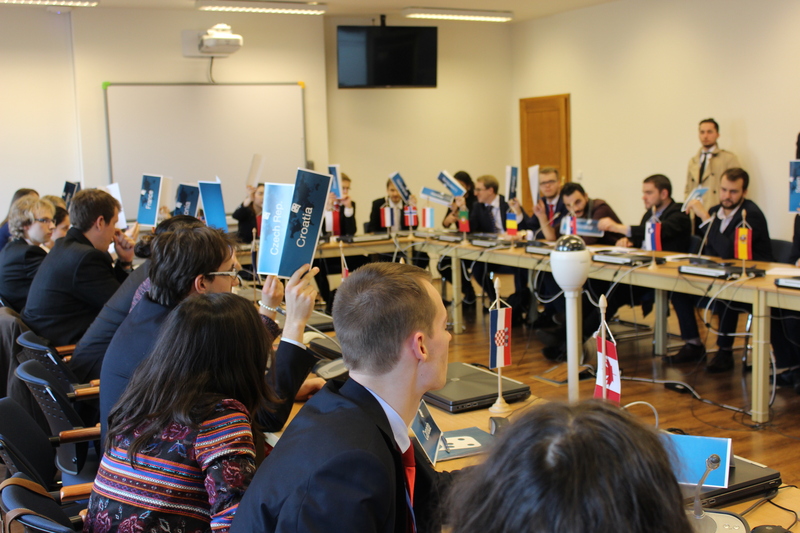 The topic of the simulation was Attitude towards Ukraine. 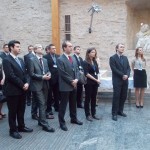 Each participant was assigned to represent one of the 28 countries of the EU. Representant of Ukraine was in the position of observer. Their task was to defend the position of the respective state even if they disagreed. The aim was to point out the differences among countries and to find solution to the situation. Participants had to make concession and negotiate in order to reach the deal on the issue. The last panel discussion of the conference was dedicated to security challenges of the Central Europe after the annexation of Crimea. The inputs of the participants were that tense situation in Ukraine signify one of the biggest security threats for Ukraine´s neighbouring countries but also for the whole EU. The attitude of the EU and member states towards this issue was discussed as well. The last phase of the project consists of establishing a long-lasting V4+Ukraine community of young leaders. This community serves as a platform for their further communication and cooperation and is expanded every year by Visegrad Youth Forum’s participants. 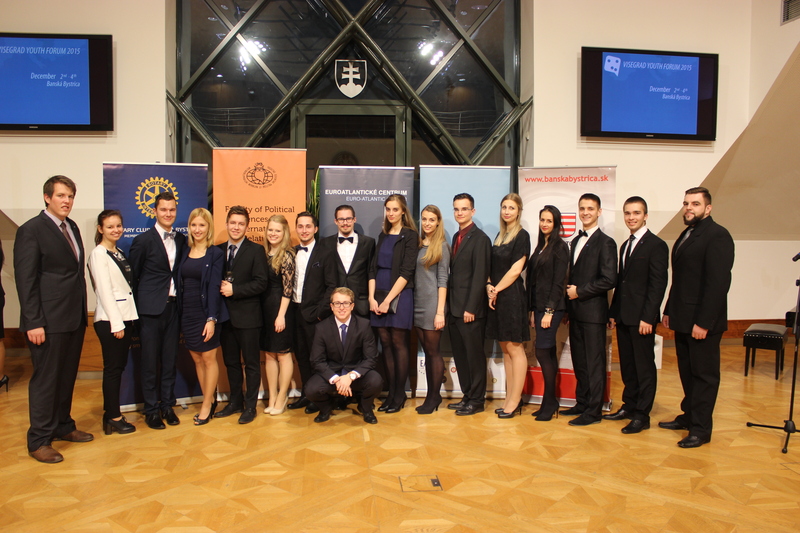 During the 4 year of the existence of the VYF, more than 200 young people from the Central Europe took part in this project. For more photos from Visegrad Youth Forum 2015 visit our photogallery. 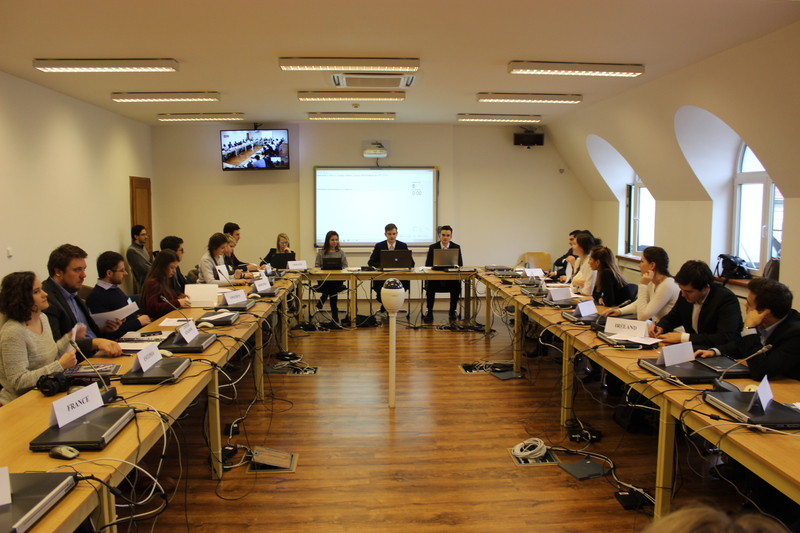 The 3rd consecutive year of the Visegrad Youth Forum has again found its home on the premises of the Faculty of Political Sciences and International Relations of the Matej Bel University in Banska Bystrica. 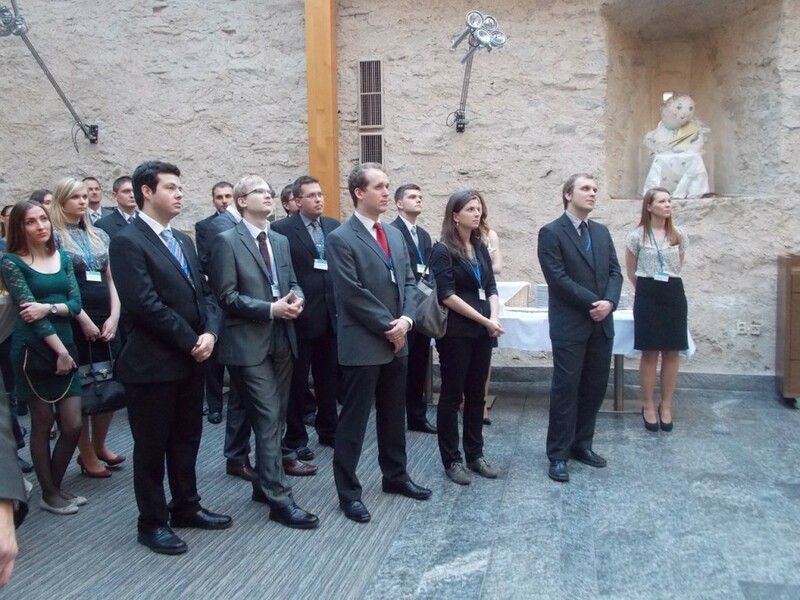 This international event, which lasted 3 days, from 27th to 29th November, brought together young academics and professionals from across Slovakia, Hungary, Poland and the Czech Republic. The Visegrad Youth Forum has once again created a platform for worthwhile discussion on various issues currently facing the Visegrad region. The conference consisted of 3 panel discussions, which focused on the current and future partnership of V4 countries, cyber security and digitalization, as well as energy security. Contrary to previous years of this conference, VYF 2014 also brought participants together in the form of a simulation of a meeting of V4 country leaders. Students had the opportunity to not only hear about and discuss current issues as part of panel discussions and workshops, but were also able to try their hand in crisis situation resolution. To better understand the issues facing their neighbors, participants were not able to represent their mother countries. 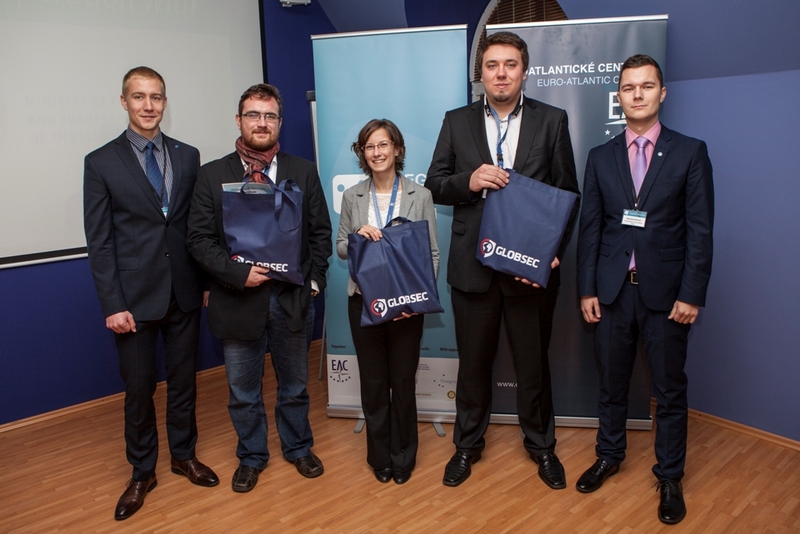 The three most active of them received a valuable prize in the form of an internship at the Globsec 2015 conference. The output of the simulation is a declaration, which will be sent to the current leaders of all V4 countries. The event was organized under the auspices of the mayor of Banska Bystrica, as well as the State Secretary of the Ministry of Foreign and European Affairs, Peter Javorcik. Mr Javorcik, along with Dutch ambassador H.E. Richard Van Rijssen and Tomáš Strážay (from SFPA) presented their ideas on Visegrad cooperation in the first panel of the conference. Aside from the opening reception hosted in the city hall of Banska Bystrica, and the various panels, workshops and simulation, participants of the event had the opportunity to get acquainted with Slovak traditions and culture by way of a cultural evening at a local chalet. More photos in photogallery Visegrad Youth Forum 2013. Visegrad Youth Forum je unikátny projekt s dlhoročnou tradíciou. Cieľom projektu je vytvoriť platformu pre networking, inovatívne vzdelávanie, ale najmä zvýšiť u mladých ľudí záujem o aktuálne dianie a budúcnosť Vyšehradskej skupiny. Projekt pozostáva z viacerých fáz, jeho vyvrcholením je trojdňová konferencia v Banskej Bystrici, srdci Slovenskej republiky, ktorá je jedinou krajinou zdieľajúcou hranice s Českou republikou, Poľskom a Maďarskom. 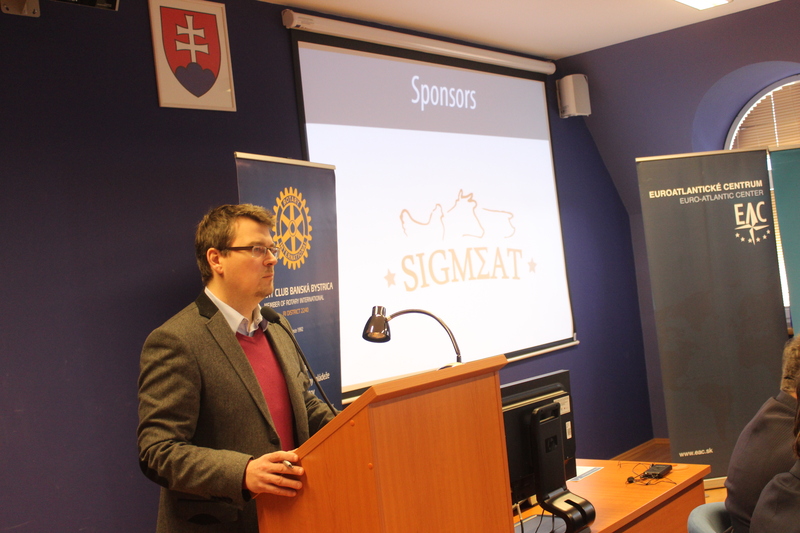 Hlavným cieľom konferencie je aktívna odborná diskusia o aktuálnych problémoch V4 a o spolupráci s partnermi. Euroatlantické centrum sa každoročne pokúša o zvýšenie kvalitatívnej hodnoty projektu. Na konferencii sa každoročne zúčastňujú politickí experti, zástupcovia jednotlivých štátov, ale aj predstavitelia akademickej, súkromnej sféry a tretieho sektora. Tí počas panelových diskusií odpovedajú na otázky študentov, ale podieľajú sa aj na workshopoch a simuláciách. Prostredníctvom tohto projektu sa Euroatlantické centrum snaží o vytvorenie špecifickej platformy na podporu otvorenej a neformálnej diskusie medzi mladou a staršou generáciou. Vytvára sa tak priestor na výmenu nápadov, informácií a skúseností, čo silno podporuje myšlienku vyšehradskej spolupráce v rámci tejto komunity, ale aj navonok. Vyšehradské mládežnicke fórum organizujeme za podpory Medzinárodného Vyšehradského Fondu. 4. ročník Vyšehradského mládežníckeho fóra sa uskutočnil 2.-4. decembra 2015 v srdci Vyšehradského regiónu, Banskej Bystrici, pod záštitou ministra zahraničných vecí, Miroslava Lajčáka. Ako obyčajne aj tento ročník pozostával z troch fáz. Počas prvej fázy bola vytvorená virtuálna skupina zložená z participantov z krajín V4 a Ukrajiny, cieľom ktorej bolo rozprúdiť diskusiu a pripraviť tak participantov na konferenciu. Účastníci boli pravidelne informovaní o aktuálnom dianí prostredníctvom Vyšehradského newslettra. Druhá fáza projektu predstavovala samotné fórum uskutočnené s cieľom vytvoriť priestor na konštruktívnu debatu a prostredníctvom workshopov a simulácií zapojiť 10 participantov z každej krajiny V4 a Ukrajiny do diskusií o aktuálnych výzvach a rizikách v regióne. Konferencia trvala tri dni a podporila nielen odbornú kvalifikáciu participantov, ale prispela aj k vytvoreniu nových kultúrnych väzieb. Počas konferencie sa uskutočnili panelové diskusie s odborníkmi na jednotlivé témy podujatia. Súčasťou projektu boli aj workshopy participantov, počas ktorých účastníci pripravovali svoje spoločné stanoviská k jednotlivým témam. Konferencie sa ako publikum taktiež zúčastnili mladí ambiciózni lídri z Ukrajiny, ktorí mali za úlohu absorbovať poznatky, s existujúcu, ale aj potenciálnou spoluprácou V4 krajín a neskôr ich odovzdať širokej verejnosti vo svojej krajine. Poslednou časťou konferencie bola simulácia zasadnutia predstaviteľov krajín V4, na ktorej sa zúčastnili participanti. Cieľom simulácie bolo získať ucelené stanovisko participantov podopreté pripomienkami odborníkov. Poslednú fázu projektu reprezentuje snaha o vytvorenie dlhotrvajúcej vyšehradskej komunity, ktorá bude platformou pre budúcu spoluprácu v rámci V4. Táto komunita sa bude prostredníctvom Visegrad Youth Forum každoročne rozširovať. Pre viac fotografií z Vyšehradského mládežníckeho fóra 2015 navštívte našu fotogalériu. Banská Bystrica sa vďaka Euroatlantickému centru už po tretíkrát stala centrom vyšehradského regiónu. Pre mladých akademikov a budúcich lídrov z Českej republiky, Slovenska, Maďarska a Poľska bol v dňoch 27.-29. novembra pripravený bohatý program. Prvý deň mali všetci účastníci možnosť bližšie sa spoznať po formálnej, ale i neformálnej stránke. Po príchode ich čakala prehliadka historickým centom Banskej Bystrice, po ktorej vo večerných hodinách nasledovala otváracia recepcia v Cikkerovej sieni mestskej radnice. Oficiálnu časť napokon vystriedal ,,Ice- breaking night“, ktorý poskytol ideálny priestor na neformálny networking medzi účastníkmi zo štyroch rozličných krajín. Vyšehradské mládežnícke fórum sa nieslo v znamení odborných diskusií na témy partnerstiev krajín V4, kybernetickej bezpečnosti a digitalizácie a napokon energetickej bezpečnosti, ktoré sú v súčasnosti pre celý vyšehradský región pálčivými otázkami. Participanti však boli do diania celej konferencie zapojení oveľa interaktívnejšie. Počas workshopov zastávali pozície iných krajín a boli tak donútení k vyjednávaniu a bližšej spolupráci s ďalšími krajinami. Mohli si tak na vlastnej koži vyskúšať nielen svoje negociačné schopnosti, ale taktiež svoje odborné znalosti. Jednania sa týkali ukrajinskej krízy, spoločného obranného priestoru krajín V4, energetickej a kybernetickej bezpečnosti a napokon ekonomickej agendy vyšehradského regiónu. Vyvrcholením ich snáh a vyjednávaní bola simulácia zasadnutia lídrov V4 v Centre krízového riadenia na Fakulte politických vied a medzinárodných vzťahov UMB, výsledkom ktorého je spoločná deklarácia, ďalej prezentovaná politickým lídrom krajín V4. Ďalšou unikátnosťou tretieho ročníka Vyšehradského mládežníckeho fóra bol kultúrny večer na kolibe Stráže. Participanti si mohli užiť nielen tradičné slovenské jedlo, ale taktiež mali príležitosť zatancovať a zaspievať si s tradičnou slovenskou ľudovou kapelou. Ďalším prekvapením pre troch najaktívnejších účastníkov bola výhra stáže na medzinárodnom bezpečnostnom fóre GLOBSEC 2015. 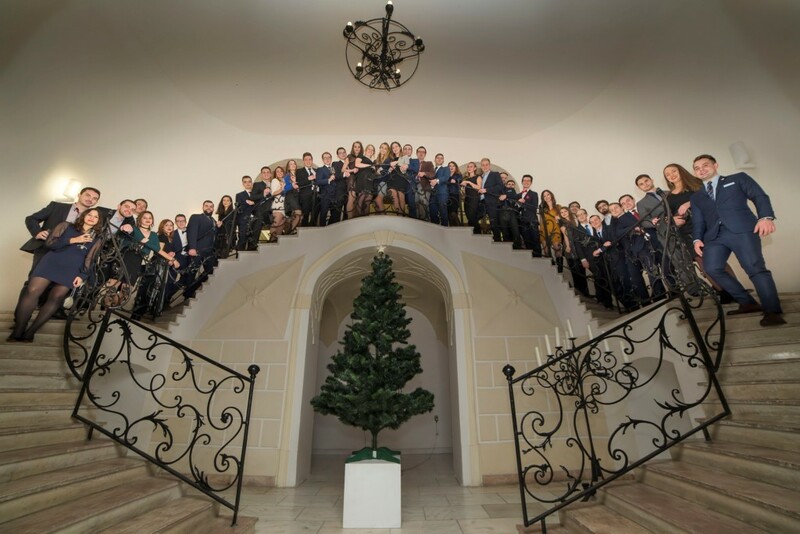 Viac fotografií nájdete vo fotogalérii Vyšehradské Mládežnícke Fórum 2013.